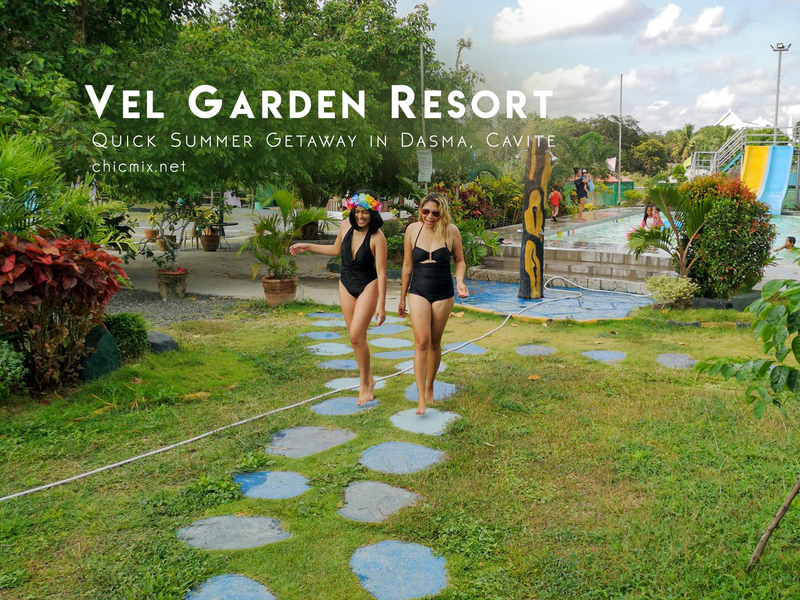 Located in Dasmarinas Cavite, Vel Garden Resort is one of the budget friendly resorts you will find in the area. The place is serene, full of greens and is quite vast. They have two pools available, with offerings of one of the longest night swim times I have ever experienced in my life. 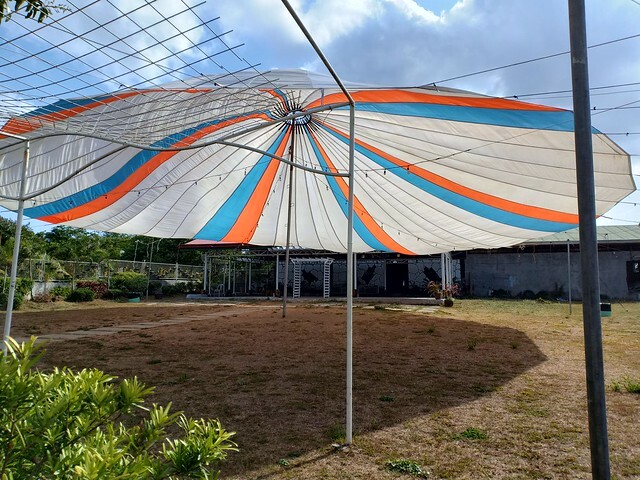 You can also not just cool off the summer heat here but you can also celebrate debuts, weddings, proms and other team building or celebrations as they have an events place and catering service as well. What you saw above was Vel Garden Resort's adult pool, with it going as deep as 4 feet. 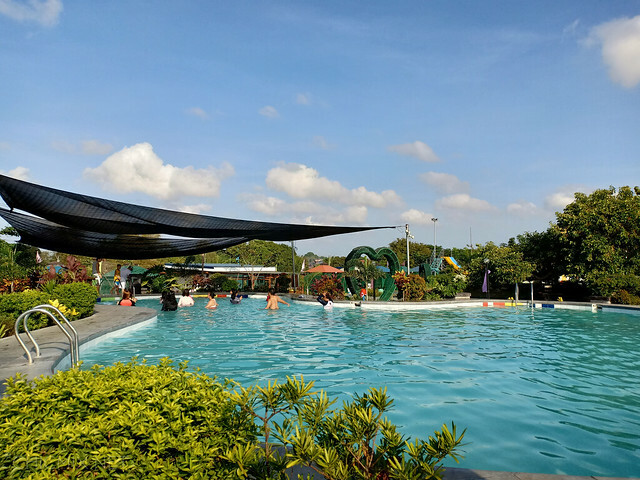 It's pretty big so you can enjoy your swim even if there are other people splashing about. 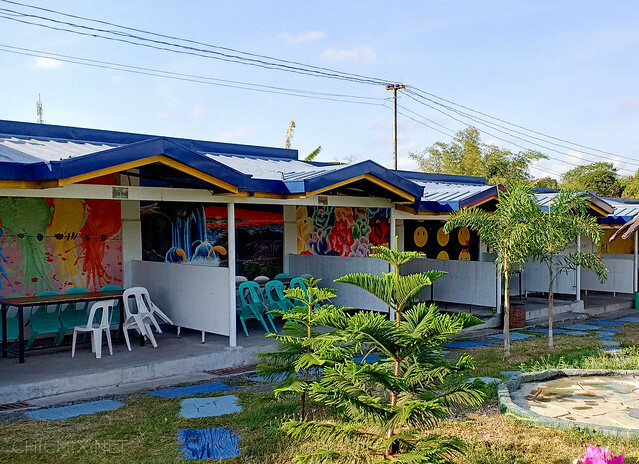 Below you can see their quick shower areas, and the cabanas and cottages for different people. All cottages have outlets so you have no problem with charging your things. This is the kiddie pool which is honestly more of a wading pool for adults- going up to as high as less than two feet deep. 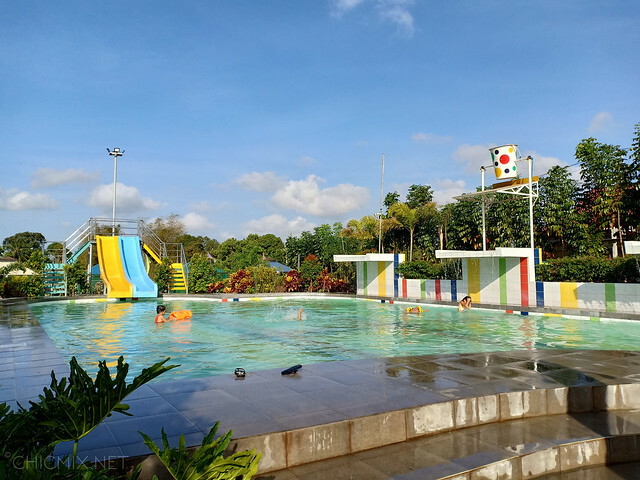 Even your one year olds can have some fun here and not get scared of the pool being too deep for them. There's a slide though so you have to make sure that you are looking out for your kids here for safety purposes. The pail above is what they use for their foam parties. 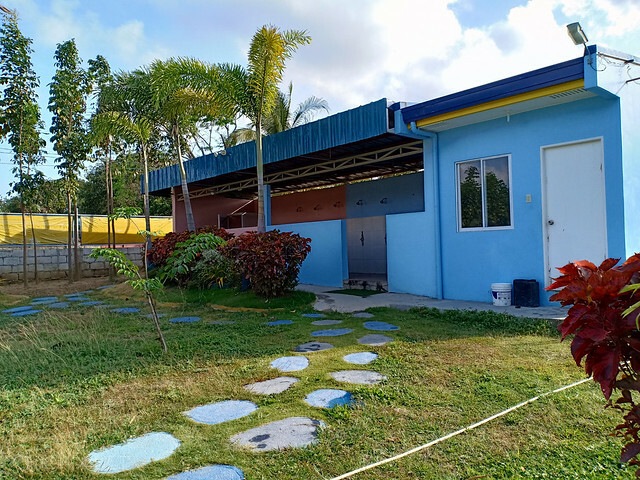 Below is their shower/changing rooms and toilets for those who are done with swimming. This one is near the kiddie pool area. 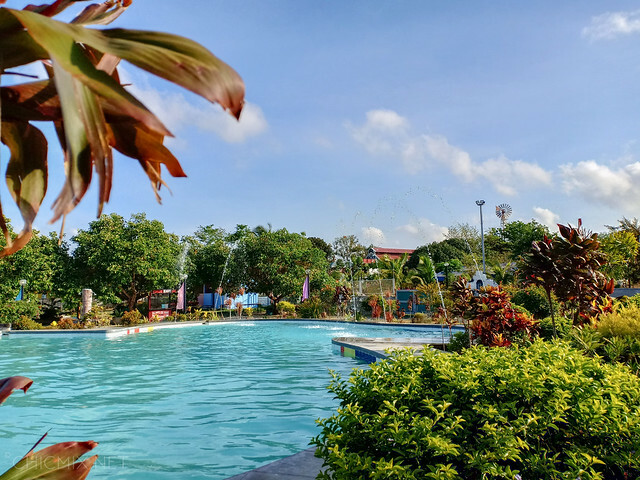 Above are their cottages that's perfect for people of 15 persons or more. You can also rent videoke here as what I saw when I arrived. You can have your night swim here and the great thing is that they close the pool by 2 AM- later than most resorts I know which closes their pools at 12 MN or earlier. We had a fun time and below is how the pools look at night. 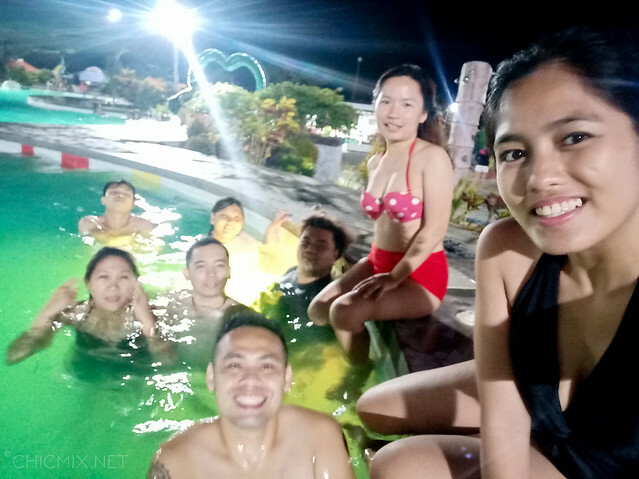 If you are wondering about how cold it can be at night with the winds blowing, fret not as the lights actually help in keeping you warm while swimming. 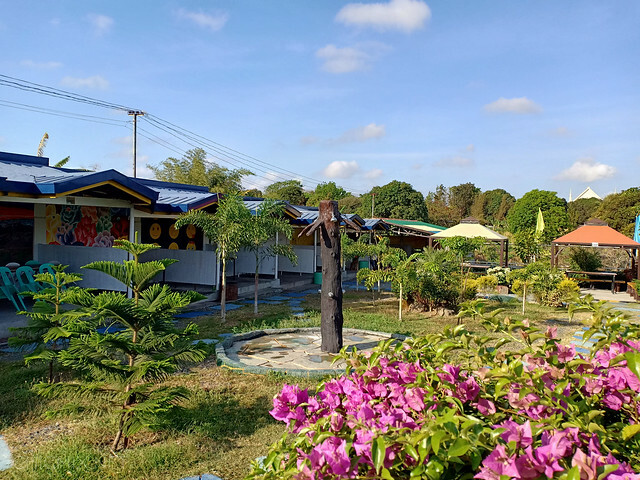 While they have affordable rooms available, at the moment these rooms are better suited for a group for 4 persons as these rooms are better suited for couples. Request for extra beds if you are more than 3 adults. Bring your own extra pillows, blankets/shawl and towels for a more comfy stay as sometimes they run out of these especially if it is a full house. The toilet/shower area separating the bedroom is actually a sliding glass door so you will definitely be seeing some figures of your room mates. Better to stay here with the family as it will be more awkward if you're taking a shower and your friends are in the bedroom too. They will have family rooms available soon, as construction for them are on their way. 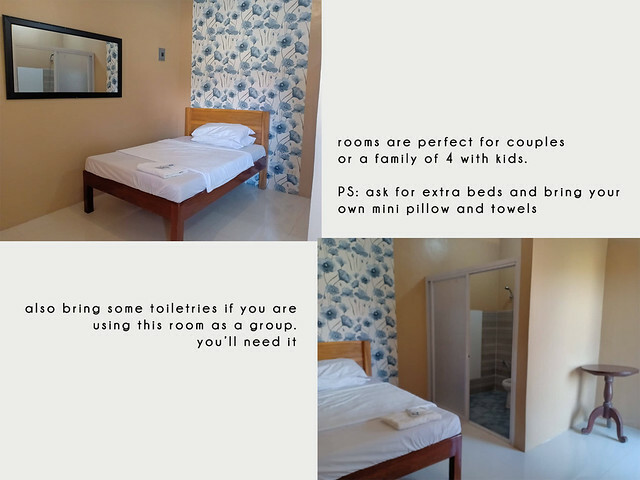 Said rooms can be rented out for 3 hours, 6 hours or 12 hours at a maximum price of 1500 Php for the 12 hours. Here's a list of their corkage fees which applies to alcohols only. Bring your own food here as they don't have an on site restaurant. 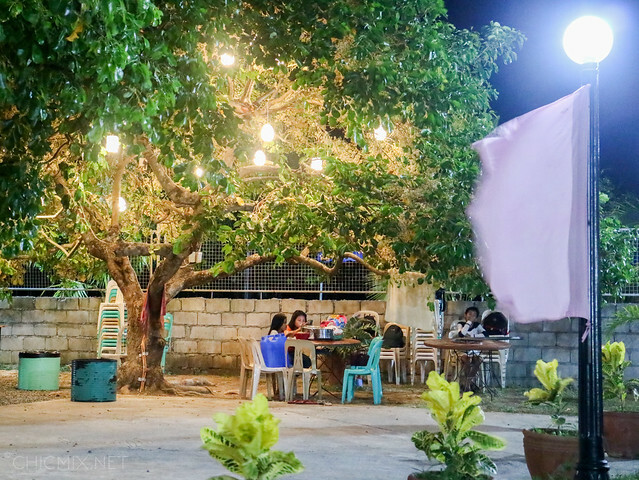 For your breakfast, you can tell them the day before that you would want to have some breakfast or short orders like pancit bihon, lumpia and the like and they can get it for you for a fee. From SM Dasmarinas, you can ride a jeep to "Bayan" or Dasma bayan and ask around for the tricycle terminal. It's better to come here in the resort as a group as one tricycle ride going there will cost you about 100 pesos. 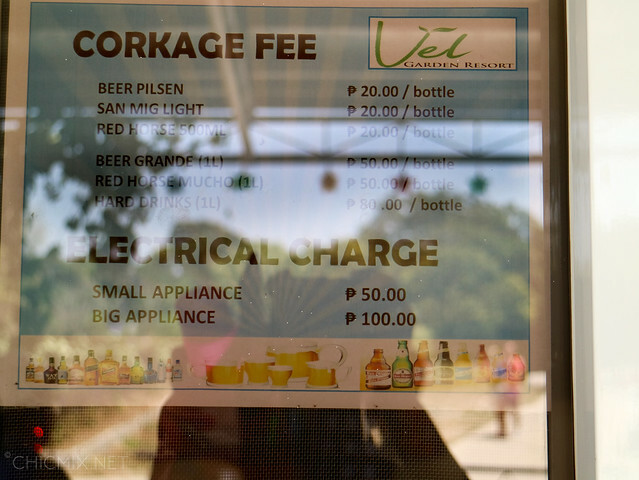 Vel Garden Resort is in a pretty secluded area that's why the fare is so high. Hope you guys have a fun summer vacation!